... Sifrei Torah, tefillin and mezuzot are subject to the most stringent laws concerning both the preparation of the parchment or vellum and the actual writing. The religious scribe is also expected to conform to stringent requirements. The making of batim (tefillin cases) is also subject to stringency and requires skill in working with leather and specialised tools. 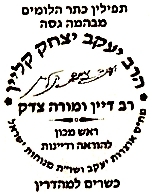 Certificate of Kashrus of Tefillin issued by Rabbi Moshe Yehudah Leib Landau, Bnei Brak. 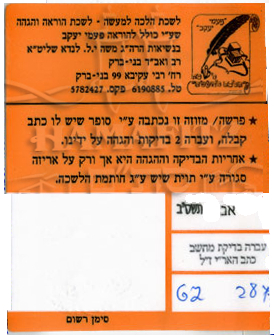 Note in the right-hand top corner the motif which incorporates tefillin and a quill arranged on a vertical scroll.